French cinema is extremely characteristic and recognizable all over the world. These exposition wonders if the posters for the films mentioned can be categorized similarly and if the language of the 10thMuse can be present in the fine arts or not. Final answer lays in visitors’ hands and the composition of the exhibition aims to help in finding it. That is why, the exhibition allows visitors to see not only the posters from different time periods and of different genres, but made by different directors as well. The authors (i.e. M. Wasilewski, J. Młodożeniec) willingly use the power given by the photography, collage and assembly included. 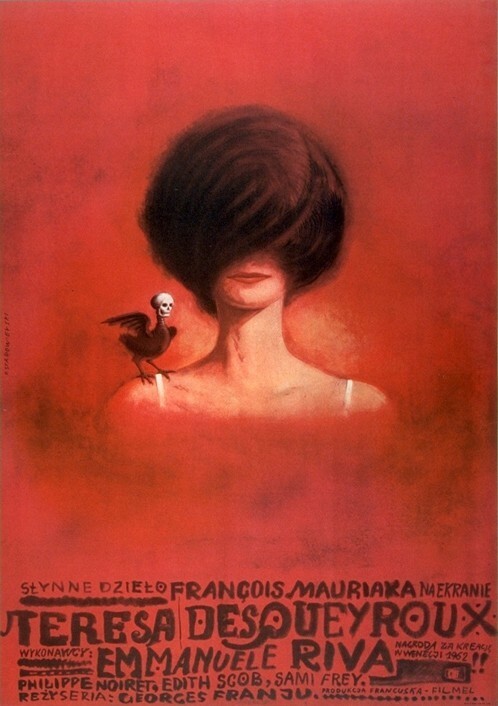 The gem of the exhibition is the poster for the French and Italian production ‘Beyond Fear’ designed by Jerzy Kawalerowicz, who had graduated from the Jan Matejko Academy of Fine Arts, before becoming the filmmaker. It is worth considering how his, and Lech Majewski's, who was in a similar situation, graphic works correspond with their films.